Louis Allen was born in Clarendon, Jamaica and immigrated to Canada with his family in 2000. The family settled in Kitchener and is proud to call this city home. Louis is a trained engineer who holds a BSc. (Hons.) degree in Civil Engineering, a Masters in Business Administration (MBA) and facility management credentials (FMA). He joined the Board of the CCAWR as President in 2016. Louis, who also serves on the Boards of two (2) other not-for-profit organizations and coaches Minor Soccer, is a passionate believer in the power of volunteerism to impact the lives of individuals (both those who serve and those who are served) and build communities. He is also an advocate for Equity and Social Justice and believes there is great synergistic strength in organizational endeavours. In his spare time, Louis enjoys listening to music, biking, photography, travels and keeping up with the news and current affairs. Louis considers himself a pragmatist whose guiding philosophy is “balance” in all things. 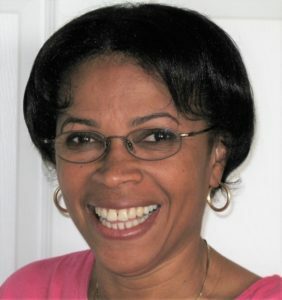 Ingrid Berkeley-Brown has been on the Board of Director for the CCAWR Board since 2006. She served in the role of President between 2012 and 2014 and in the role of Secretary from 2014 to present. Born in Georgetown, Guyana, Ingrid immigrated to Canada in 1974. She has an honour diploma in Social Sciences and is a graduate of the Masters of Leadership Program from the University of Guelph. An officer with the Peel Regional Police for over 30 years, Ingrid holds the rank of Superintendent. She is committed to community development and is a strong advocate of continuous learning. She leads by example having been actively involved with many community organizations including the Peel Multicultural Council, YMCA Achievers Program, Congress of Black Women (Mississauga, Brampton and Kitchener-Waterloo chapters) and the United Achievers Club of Brampton. She is a founding member and past Chair of Peel Sister of Colour in Action. Ingrid currently sits on the Board of Directors for the Peel Family Mediation Services (PFMS). She has been recognized for her work in the community and has been honoured with several awards including the Peel-United Cultural Partners ‘Black History Month Recognition’ Award; Congress of Black Women Mississauga and Area Chapter ‘Phenomenal Woman’ Award, the Association of Black Law Enforcement (ABLE) ‘Leadership in Law Enforcement’ The Excellence in Law Enforcement Award at the Women’s Courage Award International and most recently the Black Community Action Network (BCAN) ‘Service’ award. Anandi loves Caribbean culture and will promote it at every opportunity. 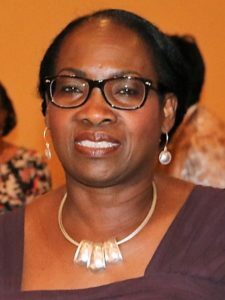 She is the current Treasurer of the Caribbean Canadian Association of Waterloo Region and has served on the board since 2012. Anandi is an Auditor with the Canada Revenue Agency, working in the Public Service for 17 plus years. She has helped Canadian taxpayers in Client Services, Problem Resolution, Appeals, Audit and her current department, Scientific Research and Experimental Development. This career utilizes her analytical skills and dispute resolution philosophy. Anandi was awarded a Bachelor of Mathematics, Chartered Accounting from the University of Waterloo. She cherishes the discipline and drive to achievement she was taught at her alma mater St. Joseph’s Convent, Port-of-Spain, Trinidad and Tobago. She enjoys filmmaking and obtained a Film Studies Certificate at Ryerson University in 2010. She produced a short film “Gerima” about a very special local drummer of Caribbean descent; the short debuted at the Local Focus Festival, Kitchener in 2011. She stays active in production, volunteering with RogersTV. She also enjoys improv acting and creative writing. Sarah Allen is a human resources professional who emigrated from Jamaica and settled in Kitchener with her family. She is a graduate of the University of the West Indies with a B.Sc. in Public Administration and Conestoga College, with a Post Graduate Certificate in Human Resources Management. She is a credentialed Human Resources Professional (CHRL). Sarah enjoys giving back to the community and has worked with the CCAWR Board since 2007. Over the years she has served on various committees of the Board and currently chairs the Events Committee. She believes it is only when we are involved and giving of our time that we truly give. She is a mentor to youth and young professionals and her passion is to empower others to fulfil their potential. When she is not busy volunteering or giving a helping hand, she enjoys reading, travelling, making new connections and connecting others. Sarah subscribes to the philosophy that people should get involved and positively impact their community. 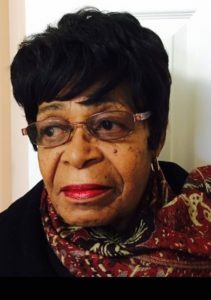 Lannois Carroll-Woolery has resided in Waterloo Region since 1991. He is excited about the educational possibilities the Region offers its residents at our world-class Universities and Colleges. A graduate of the University of Waterloo, working in the field of Information Technology, he believes that the demand for workers in high-tech fields will continue to grow nationally. He encourages families to have a sound financial plan and for students to be literate in mathematics and science, whatever their chosen field of study. Born in Trinidad and Tobago, Amanda immigrated to Canada with her family in 2008. She was an Educator in T & T for over 21 years and ended her tenure as Head of Department. Starting over in a new country posed its challenges, so Amanda made the decision to pursue a second career. She attended triOS College in Kitchener, and is now an Ontario Licenced Paralegal at TREND Financial Corporation. Following her desire to give back to her community, Amanda joined the CCAWR as a Board Member in 2016. She is a member of the Scholarship Committee and is hoping to help the CCAWR realize its vision over the next term. Amanda currently lives in Kitchener with her husband of almost 25 years and her three (3) children. She has a deep interest in education, blog writing, and reading (when she finds the time). Theresa Freeman-Simon was born in Kingston, Jamaica and immigrated to Canada in 1976. She has made Cambridge her home for several decades now, but has also lived in Ajax for a few years. Theresa has been a member of the Board of the CCAWR since 2004. 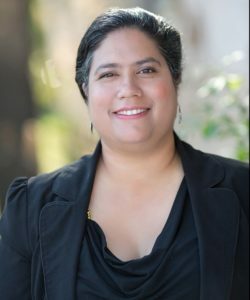 During that period she has served as Treasurer and is very instrumental in the organization and execution of the yearly Family Brunch fundraising event. Theresa currently works as a Credit Administrator for Dare Foods. However, in 2005 she tested the entrepreneurial waters when she and her family entered the restaurant business, opening and operating their own independent restaurant for a while. Theresa’s hobbies include reading as well as crocheting. She enjoys creating new garments and is a regular donor to homeless shelters in Cambridge. Theresa has a passion for travelling and has visited such countries as Mexico, South Africa, Germany, Australia, Kenya, Turkey, Denmark and United Arab Emirates, just to name a few. 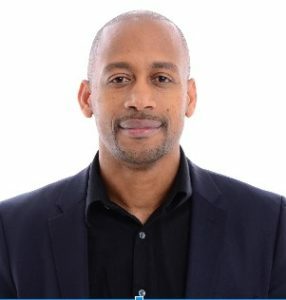 Dwain joined the Board of the CCAWR in 2016. 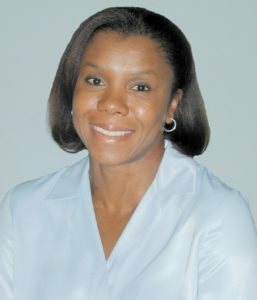 Veronique Simon is a first generation Canadian born to a Jamaican-Canadian mother Theresa Freeman-Simon (current board member) and a Guyanese-Canadian father Royston Simon (former board member and president). She has lived a few years in Ajax, Montreal and Toronto but she now resides in Cambridge. Veronique has been a board member since 2017 but has volunteered at various events for many years since her parents have been members. She is also part of the website committee assisting in setting up the CCAWR website. Veronique attended York University graduating in 2009 with a BA in Public Policy and Management. 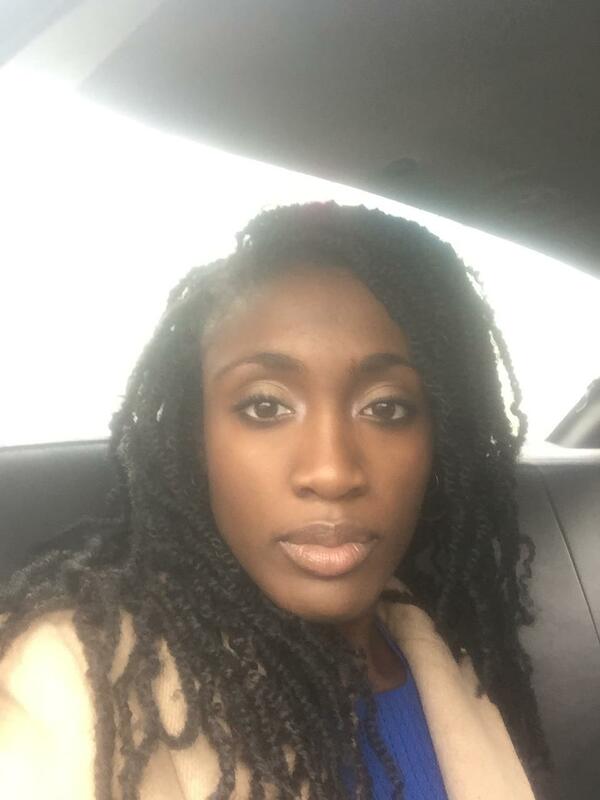 She currently works full time for a security company in the contract and billing initialization department and is expected to graduate from Seneca in 2018 with a Law Clerk Diploma. Veronique enjoys watching films, she is a foodie and loves to cook and bake. Some of her other hobbies include reading and travelling. Noel joined the CCAWR in 2001 and served as a Board member for most of that time. 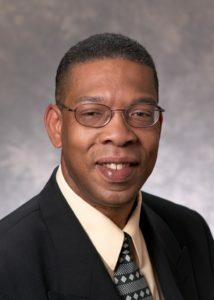 He assumed the positon of Chair of the Scholarship Committee in 2003 and currently serves in that position. 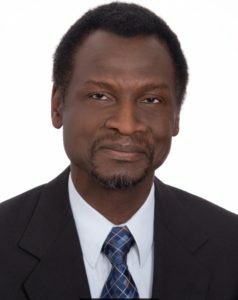 He graduated from the University of the West Indies with a Honours Degree in Management and worked for 9 years at the National Commercial Bank in Jamaica in various management positions before emigrating to Canada in 1990. 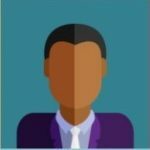 He worked with Royal Bank from 1990 – 2003 in various roles, including Supervisor, Personal Banker, Account Manager, Investment Manager and Financial Planner. Noel is a Professional Banker and is a licensed Certified Financial Planner. In his current role as Portfolio Manager at Manulife Financial, he provides analytical and credit management solutions to high net worth personal and commercial clients through values-based relationships and delivery of customized client experiences. Throughout the years, he has worked with various community groups including, Optimist Club, Kiwanis Club, United Way, Fergus Simpson Foundation (Jamaica), Grand River Cancer Centre and Uptown Waterloo Business Investment Association. Noel is a leader and forward thinker and his professional and progressive experience and love for people has inspired trust and confidence. He is passionate about life, learning and helping others succeed and achieve their life goals. His personal philosophy is “What you do matters, be your best and treat everyone with respect”. Loretta Sheriff was born and raised in St Mary, Jamaica. Prior to coming to Canada, she worked with the Ministry of Youth and Community Development as a District Officer. She immigrated to Canada in 1974 and has lived in the community for the past 43 years. She has given 43 years of her working life to Nursing, working for The Region of Waterloo and NHI Inc. in Toronto. She has been with the CCAWR since its inception in 1975 and has watched the Association’s growth over the years. She has served as a Board member for the past 10 years. Her passion is helping the less fortunate and providing empathy and moral support to community members that are shut in. 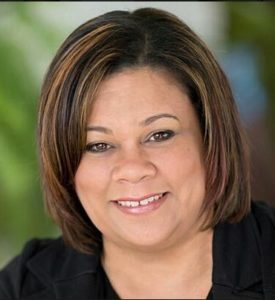 Donnette became a Board Member of the CCAWR in 2013, but has been actively involved with the Association since she first came to the Region in 2011. Having immigrated to Canada in 2010 she saw this as a great opportunity to connect with Caribbean Canadians and the wider community and a means of integrating into and serving the community. She received her education in Jamaica at the University of Technology where she graduated with a Bachelor of Science Degree in Construction Engineering. Donnette has over 10 years of experience working with community-based Socio-economic Infrastructure and Social Services projects, which involves the development of poor communities through small-scale community-based projects as a component of the Government of Jamaica Poverty Alleviation Strategy. She also worked in Jamaica with the Commission responsible for overseeing the process for the awards of Government Contracts. As a Project Manager, she sat at the Commission’s meetings and was also the representative at the Sponsoring Public Sector Procurement Agency meetings. 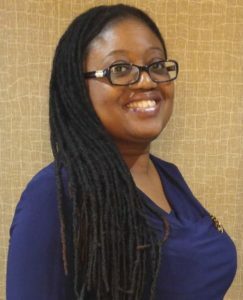 Donnette presently is employed to a major Telecommunications Engineering Consulting Company in Waterloo, Ontario; her work involves providing structural details and drawings of telecommunications towers and appurtenances for Canadian and USA wireless providers. Having the drive to contribute and make a difference in her community, Donnette participates through her work in Construction. This is unique, international event engaging designers, architects and engineers to use their talents to help those struggling with food insecurity. The event raises funds, food and awareness for local food banks. Donnette hosts International students through various organizations in her community where she provides an English immersion environment, friendship, support and guidance in a caring atmosphere where a wealth of cultural knowledge and experiences are exchanged. Donnette’s greatest strengths are creativity, organizational skills and dedication to task. She has a passion for service and finds satisfaction in a job well done. Emily Roslyn Yamoah was born in Clarendon, Jamaica. She graduated from University of Waterloo with a B.A. in 1980. 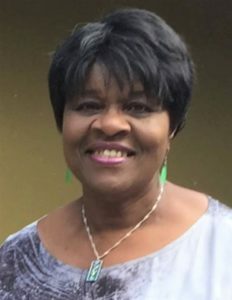 She worked as a teacher in Jamaica and Nigeria and later spent 27 years working with the City of Kitchener and The Region of Waterloo. She is a past recipient of the Kitchener Award for Positive Suggestions from The City of Kitchener. Mother of four children Isaac, Patricia, Lynta & Megan, Emily is a tourism lifestyle enthusiast and has travelled extensively. Emily has been a member of the association for the last 25 years, serving as a Board member for 20 of those years. Emily gives her time to multiple non-profit boards and community organizations. During her time at the association, she has organized and supported activities that contributed to social and business development within the community, especially in economically depressed areas. She has also made significant contributions through organizing community events, annual commemoration ceremonies and memorials.